Housing Minister Hardeep Singh Puri on January 19 announced the launch of the India's first Livability Index to rank 116 cities. 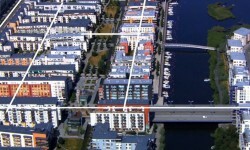 The result of the exercise would be announced in June. Among the cities to be assessed for the Livability Index are Delhi's three municipal corporations, Bengaluru, Kochi, Ghaziabad, Meerut, Varanasi, Allahabad and Lucknow and Faridabad. The cities will be assessed on 15 core parameters such as governance, social infrastructure, education, employment, health and safety and security. 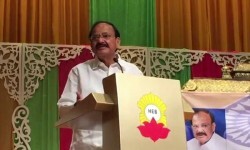 Speaking at the 27th All India Builders' Convention of Builders' Association of India on January 19, Vice-President M Venkaiah Naidu recently said that some fly-by-night operators were misusing the confidence reposed in them by consumers, bringing a bad name to the entire industry. Seeking to allay fears among developers over the real estate Act, Naidu said that "it is a regulation and not strangulation." 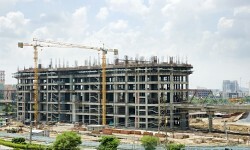 The V-P also asked the real estate sector to curtail the speculative land rates as it was not helping anybody. Nearly 140 commercial units in three markets in areas falling in north and south Delhi were on January 19 sealed for alleged violation of municipal norms. The action was taken on the directions of a Supreme Court-appointed monitoring committee. Meanwhile, the Brihanmumbai Municipal Corporation has also demolished illegally built portions at 14 hotels and restaurants and sealed a snack outlet between January 18 and 19. The civic administration has launched a drive against allegedly illegal constructions at restaurants after the December-29 fire at a pub in Kamala Mills Compound that killed 14 people. The Maharashtra Water Resources Regulatory Authority (MWRRA) has raised bulk water tariffs for domestic consumption and agriculture by 17 per cent. For industries, the tariff has been increased by 50 per cent, effective from February 1. The MWRRA has raised bulk water tariffs at Rs 120 per cubic meter (1,000 litre), a 25 fold increase for the water consumed by industries producing mineral water, soft drinks, beer and for townships such as Ambey Valley. The burden of hike would mainly fall on industries, and to some extent in municipal areas.